A leak on Twitter just a day before Huawei’s launch event reveals that the Huawei Mate 2OX will be coming with a stylus pen. However, the stylus looks too big to slide into the side of the smartphone, which can make it quite a liability. Huawei is all set to launch its Mate 20 devices lineup on October 16. The Huawei Mate 20 and Mate 20 Pro have already been a part of so many leaks. The leaks keep pouring in, still not much is known about these devices. The price of the Mate 20 Pro has been leaked along with renders of the device. The Huawei Mate 20 X hasn’t been out of the limelight as it has been hyped and teased as a gaming-oriented smartphone. That’s not all though; apparently, fans of the smartphones, have taken to Twitter to reveal more about its Mate 20X smartphone just a day before its official launch. Two images have been recently posted on Twitter, just a day before Huawei’s big launch event. The images have been posted on a fan Clun page on Twitter. It seems like these photos have been taken at a Huawei store. In one picture, one can clearly see that there are three smartphones placed on the Mate 20 stand. What is extremely striking is the presence of a stylus on one of the Huawei Mate 20 smartphones. Two devices are placed together while the other is placed on the opposite end with a stylus pen. 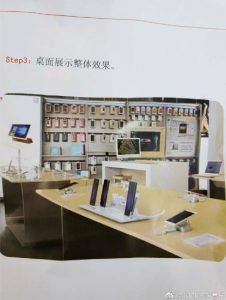 The device placed at one place also seems to feature similar screen size, while the device on the other end of the stand clearly has a much larger screen. 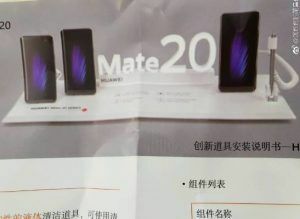 Although, the pictures aren’t exactly clear, it’s evident that the two smartphones placed together are the Mare 20 and Mate 20 Pro. 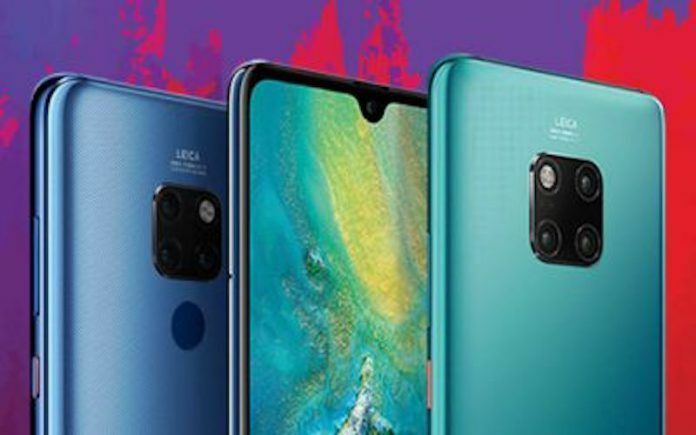 The device to the right with the larger screen is the one which has the stylus and believed to be the Huawei Mate 20X. Perhaps, the company has decided to add a stylus to the Mate 20X in order to keep some sort of differentiation among the devices. If the company has bundled in some good stylus features, it could possibly dethrone the likes of the S-Pen implementation in Samsung’s Galaxy Note series of smartphones. For years, Samsung has reigned supreme in this department and this could very well be an attempt by Huawei to get attention as a serious competitor. A good look also reveals that there’s no chance that such a big stylus will ever fit into the Mate 20X like how Samsung does with its Note smartphones. The Mate 20X is the highest end device amongst all three Huawei Mate 20 smartphones. It not only has a larger display size but also a larger battery capacity. The smartphone will be powered by the Kirin 980 SoC and will have more than enough RAM to ensure a smooth overall experience. Last but not least, the Mate 20X will come with its own stylus and hopefully some pretty neat features!